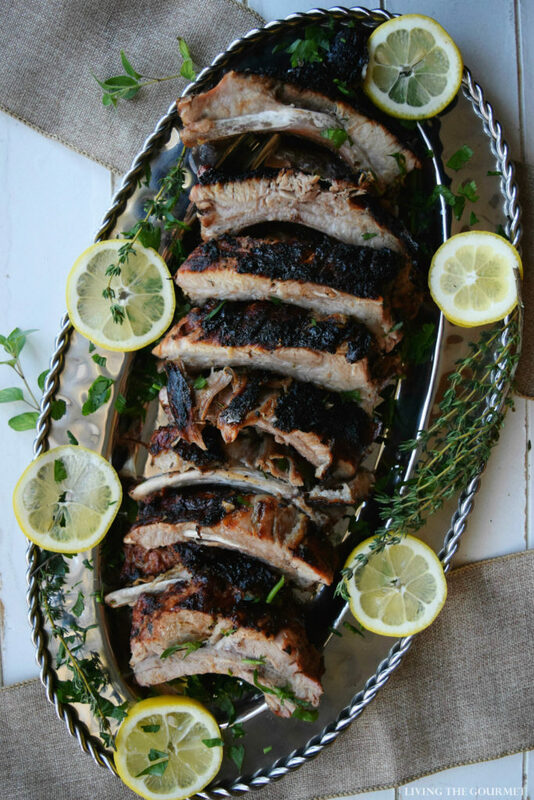 These Mediterranean Style Back Ribs are the perfect welcome to grill season! 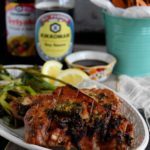 Flavored with a zesty herbed marinade, these will quickly become your summertime favorite! I would add, simply, that whereas tradition is a communal affair, ‘sentiment’ is far less definitive, being an almost entirely personal quality. What is sentimental to one, maybe entirely worthless to another, and so forth. Because of that single line, all of my grilling, both personal and for Living the Gourmet is done with charcoal. 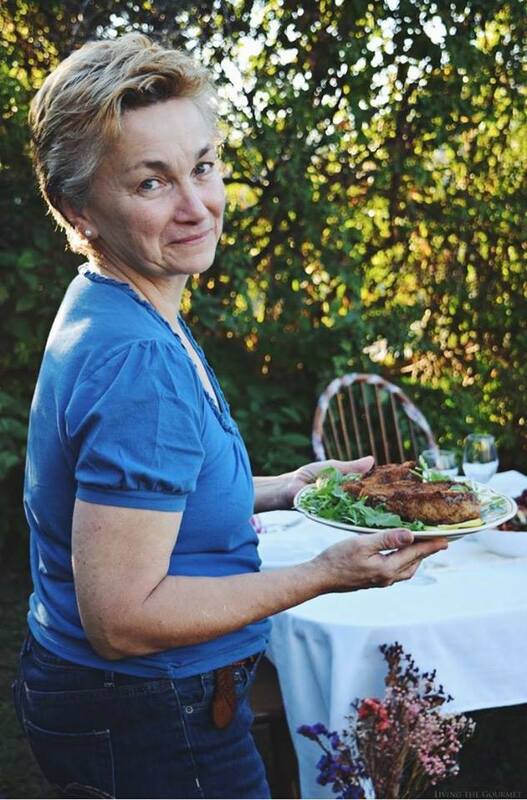 It is also perhaps for this reason that my preferred fare for the Easter season is somewhat less-than-usual, which brings us to today’s recipe. 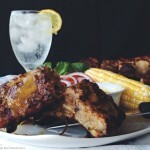 To start, yes, we are talking about perhaps the most quintessential kind of meat you can put on the grill – tender ribs. Now, before I go any further I’m going to be the first to admit three things. 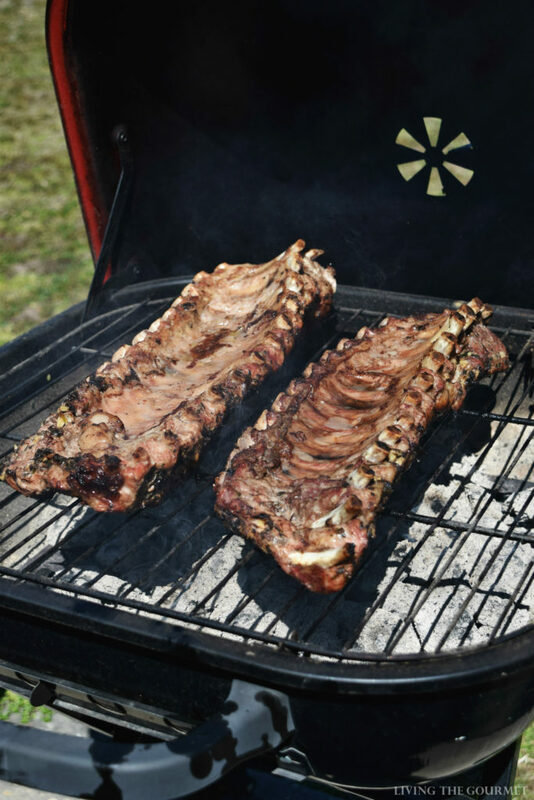 First, barbecuing ribs does in fact take a bit more ‘finesse’ than grilling a simple burger or steak – but are by no means ‘difficult’ to prepare. Second, setting up to cook on the grill, especially a charcoal fired grill, does take a bit more effort than doing things indoors. 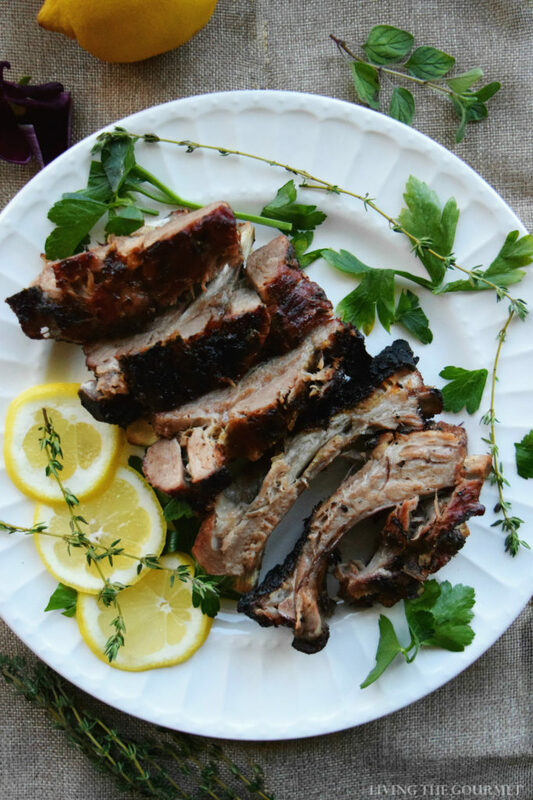 Third, there is no reason to feel intimated either by the grill, or by grilling ribs. But that’s precisely the point in some ways. We’re talking about really enjoying food, about really enjoying the start of the grilling season, about kicking things off right. And what better place or way to do this than over a charcoal fired grill with friends and family? 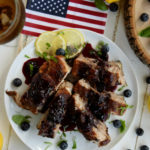 Now, while ‘barbeque’ tends to conjure images of thick sauces and messy rubs, and while I’m certainly a fan of that, that is certainly not a ‘rule,’ and avoiding the ‘standards’ of such barbeque fare can be one of the easiest ways of mixing things up a bit. Take for example today’s Greek Style Ribs. To start things off, I begin with a pack of Smithfield Extra Tender Back Ribs, which I prefer since they have no added hormones, are hand trimmed, and easily available at Walmart. 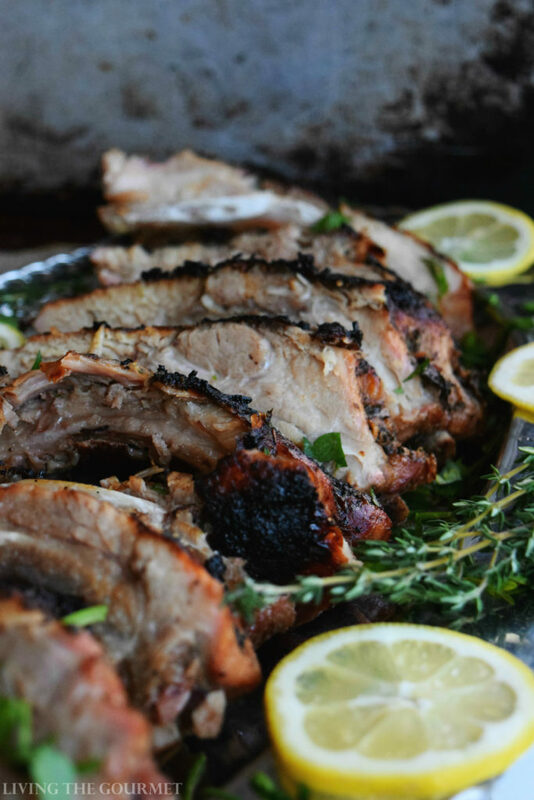 If you’re using a charcoal fired grill, be sure to pick a pack of Kingsford Charcoal as well, since it’s a reliable coal that won’t impart any undesirable flavors or odors to the meat as lesser charcoals sometimes do. As a side note, Smithfield Fresh Pork has partnered with Kingsford Charcoal. With that said, we begin with a super simple brine consisting of garlic, rosemary, thyme, oregano, fresh parsley, lemon juice, white vinegar, honey, salt, pepper, ground cinnamon and olive oil. 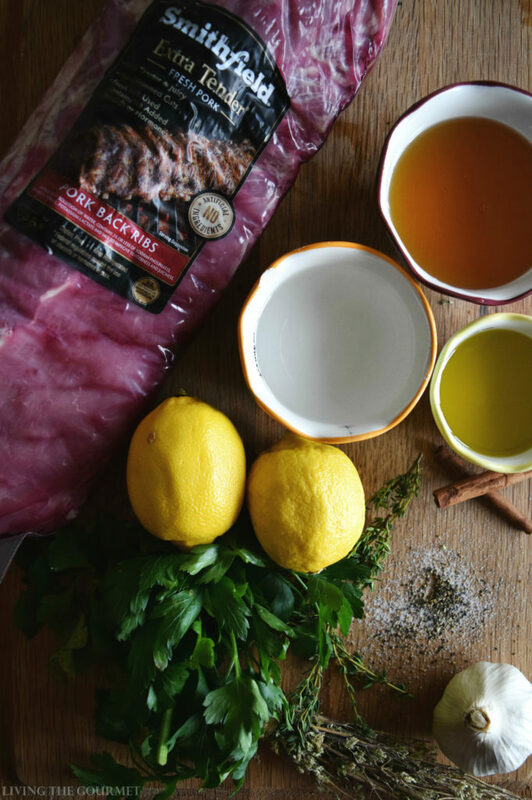 Don’t be afraid to be creative with this brine, or to adjust the measurements to your taste. We then set the ribs in foil, together with that mixture, and let them brine for several hours. Once that’s done, we set the ribs in a bbq-safe pan, I prefer cast iron for this purpose, and let the ribs cook on the grill for about an hour and a half. 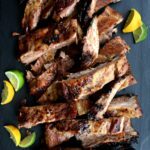 Then take the ribs out of the pan and set them directly on the grill for thirty minutes or so for that delicious barbeque char. Once they have a nice crust, they’re ready to serve. If your guests are so inclined, KC Masterpiece Barbeque Sauce and Tabasco goes great with this particular recipe. Combine all of the ingredients for the marinade in a medium sized bowl. Place the ribs in tin foil and pour the marinade into the foil and wrap the ribs in the foil to brine. 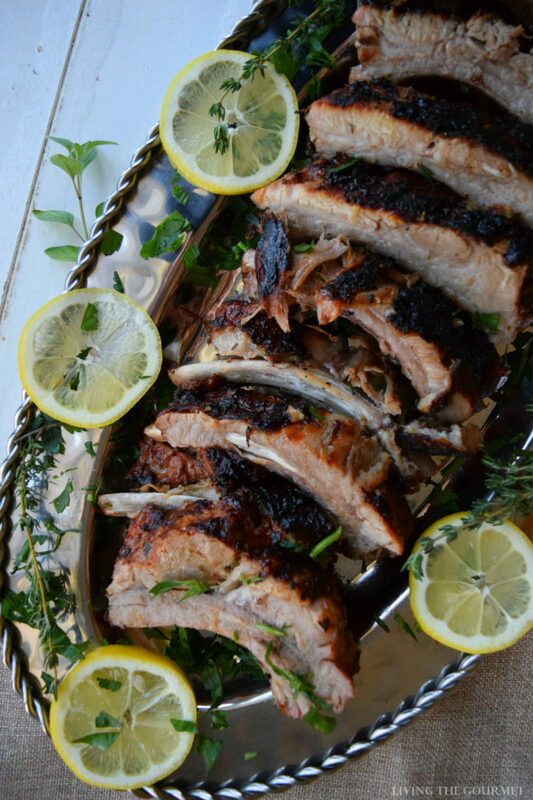 Place the ribs still in the foil in a barbecue proof pan and place on the grill. Close the top to the grill and barbecue for approximately 1 ½ hours. Uncover the ribs and place on the grill for approximately 30 minutes to get a nice char; turning once. What are some you’re favorite Easter season recipes? 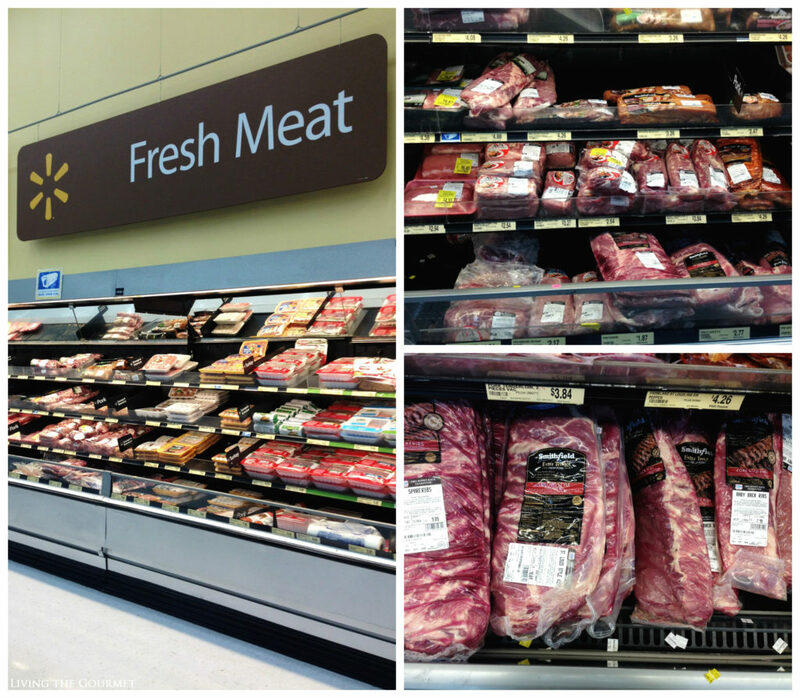 Or what some of the ways you kick off the grilling season? We would love to hear to from you! Now for some exciting news, Smithfield is encouraging America to get grilling so starting May 1st, you can win $5,000 cash plus multiple prizes throughout the summer! Check out all the details HERE! 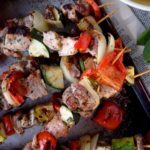 your marinade add wonderful flavor , I like this recipe ! At what temperature should the closed grill be kept? Hi Dan, thank you for stopping by. 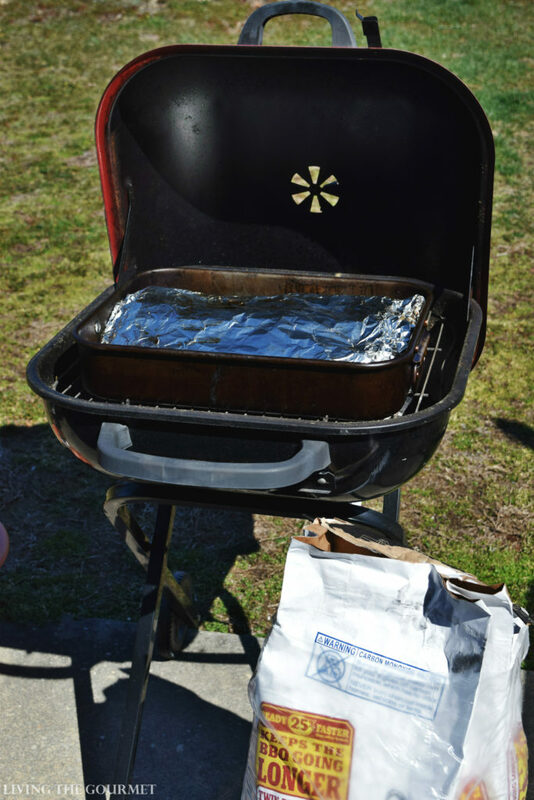 I used a charcoal grill for this recipe so I am not exactly sure of the temperature but I would say anywhere around 350 degrees F. Keep them covered in the foil, close the lid and let them cook low and slow. Hope this helps. Thank you for stopping by!